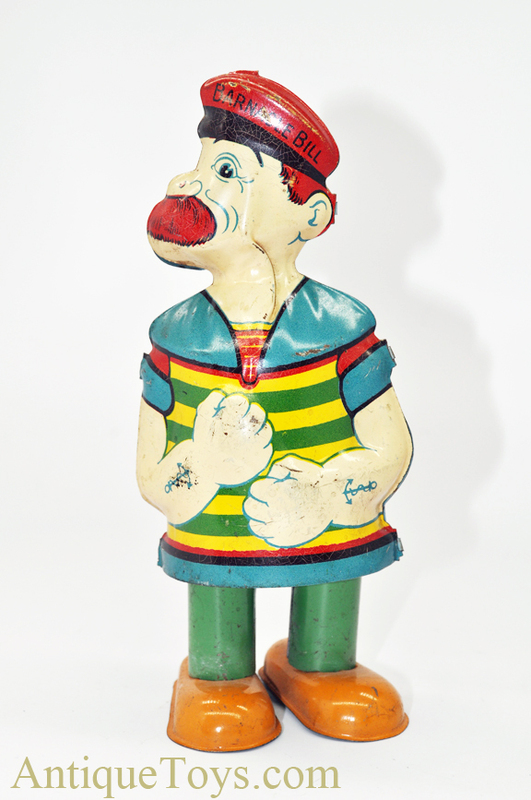 Here we have a vintage J. Chein, Barnacle Bill the Sailor tin litho wind-up toy circa 1930’s, made in Japan. 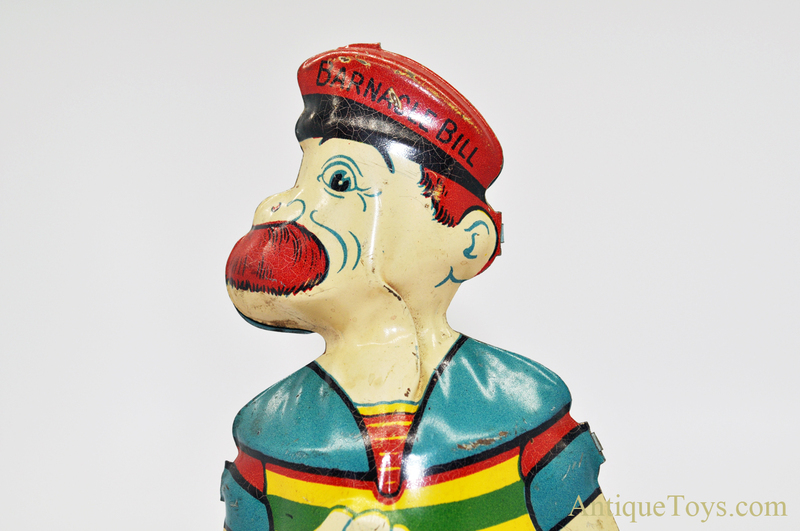 This early tin litho “Barnacle Bill” windup features a Popeye type character. 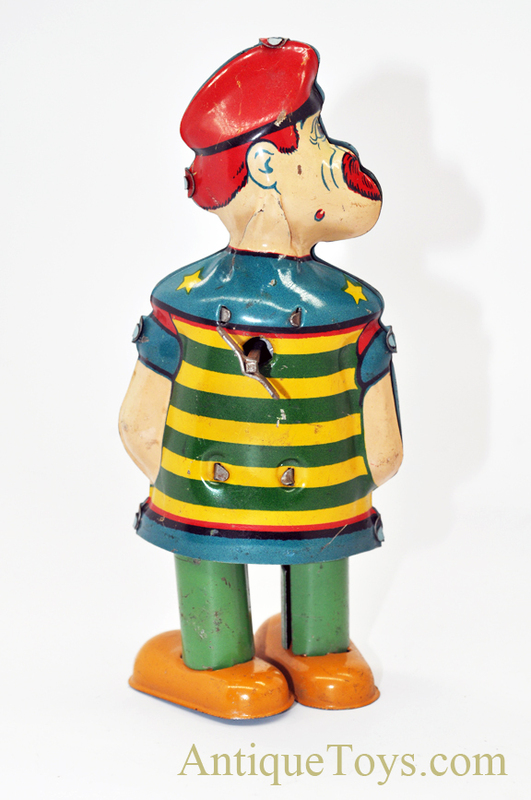 This is an early tin litho “Barnacle Bill” figural wind-up character toy featuring a Popeye type character with dedicated key. 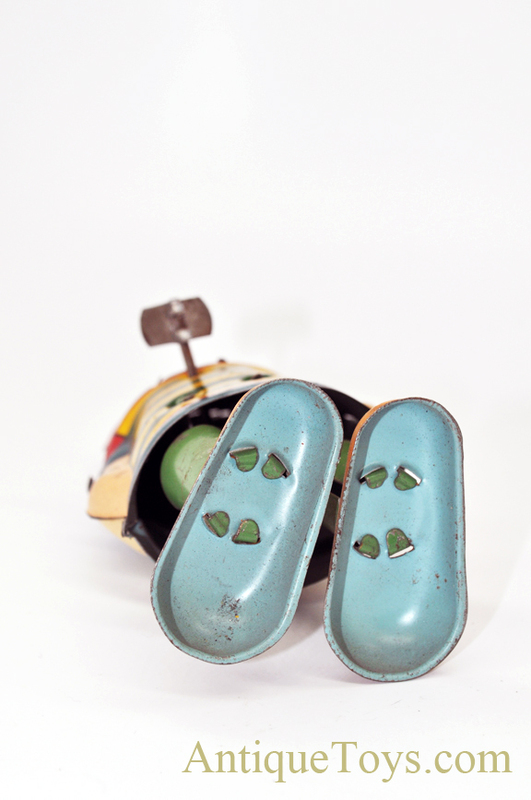 This one is clean and very nice overall with minor scattered wear, fading, and paint chips that are expected with age and play. 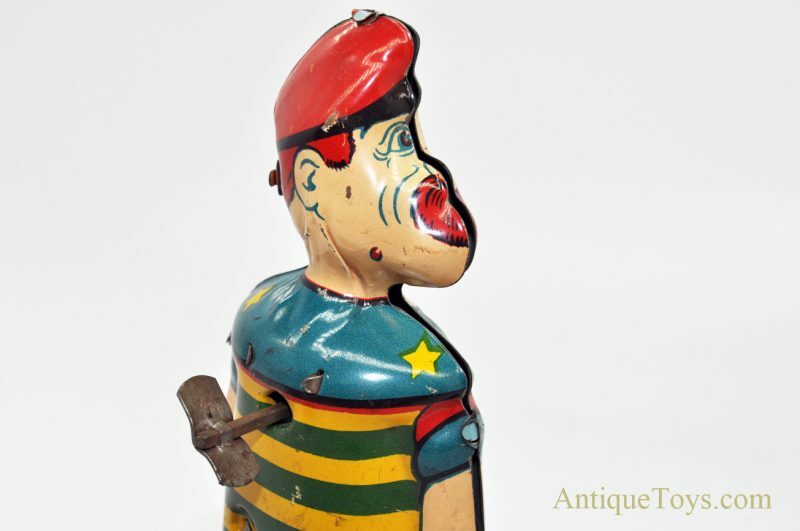 The mechanisms work well and Bill shuffles around as expected when he is wound up. 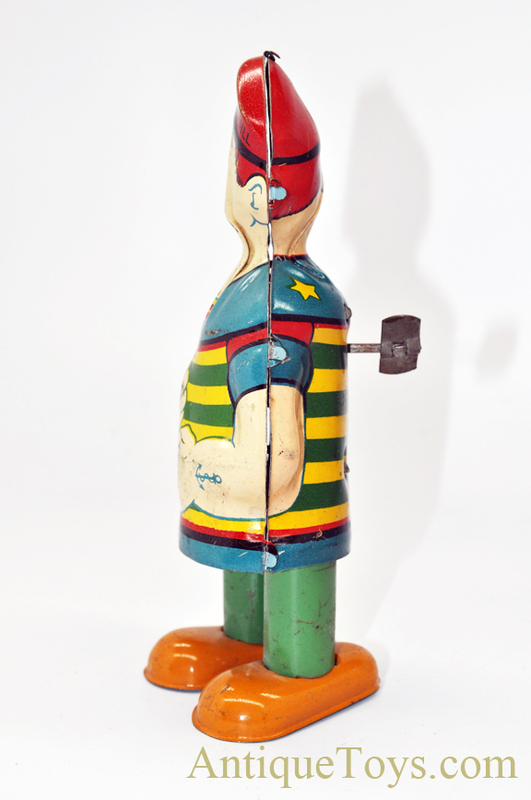 Although this toy is unmarked, it is a known production of Chein. 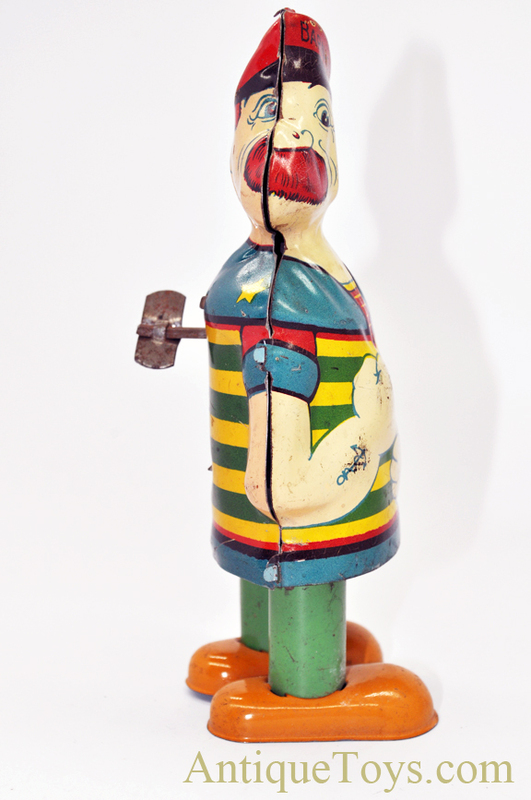 It is approximately 6” tall and 3” wide.